The Easter Seals Serving DC | MD | VA presented Advocacy Awards on May 13 to The Hon. 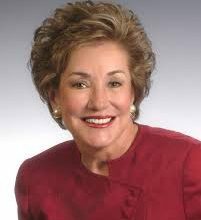 Elizabeth Dole, former U.S. Senator (NC) and founder of The Elizabeth Dole Foundation, and Booz Allen Hamilton and its Chairman of the Board Dr. Ralph Shrader at its annual Advocacy Awards Dinner at the Ronald Reagan Building in Washington, DC. The award honors military, government and business leaders for their exemplary commitment to advancing opportunities for children and adults with disabilities or special needs, including wounded warriors, military, veterans and their families. Event proceeds support Easter Seals critical programs throughout the region. Easter Seals provides exceptional services to ensure that all people with disabilities or special needs, and their families, have equal opportunities to live, learn, work and play in their communities. The mission of the Elizabeth Dole Foundation is to uplift American military and veteran caregivers by strengthening the services afforded to them through innovation, evidence-based research and collaboration.